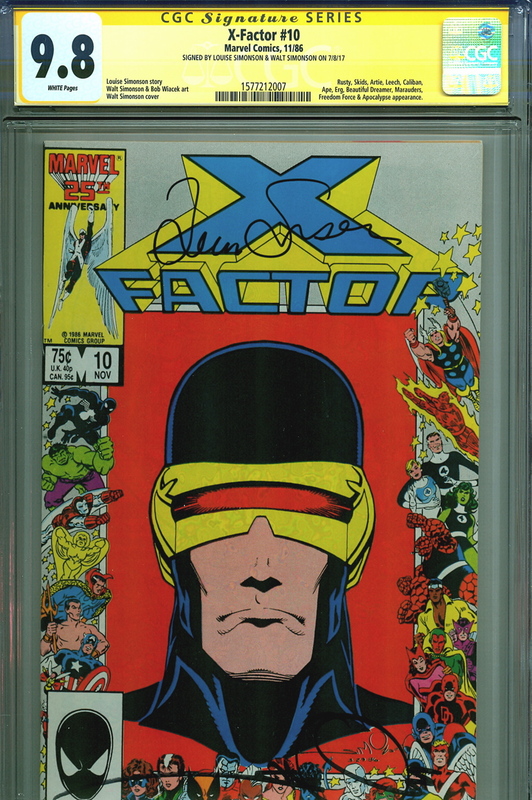 Featuring the 25th Anniversary cover border that ran on every issue of Marvel’s comics during the celebration, this issue of X-Factor #10 features a Louise Simonson story with Walt Simonson cover and interior art. Signed by hand by both Walt and Louise, the comic is professionally graded by CGC and is part of their special Signature Series. 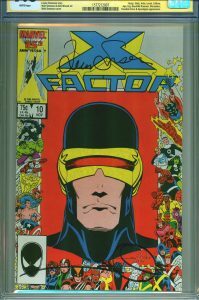 With Signature Series books, a certified witness actually observes the signing/sketch of the book and then immediately takes possession of the comic so there is no chance for the real autograph/sketch being replaced or substituted. CGC case is scratch and defect free and will be shipped with the utmost care.